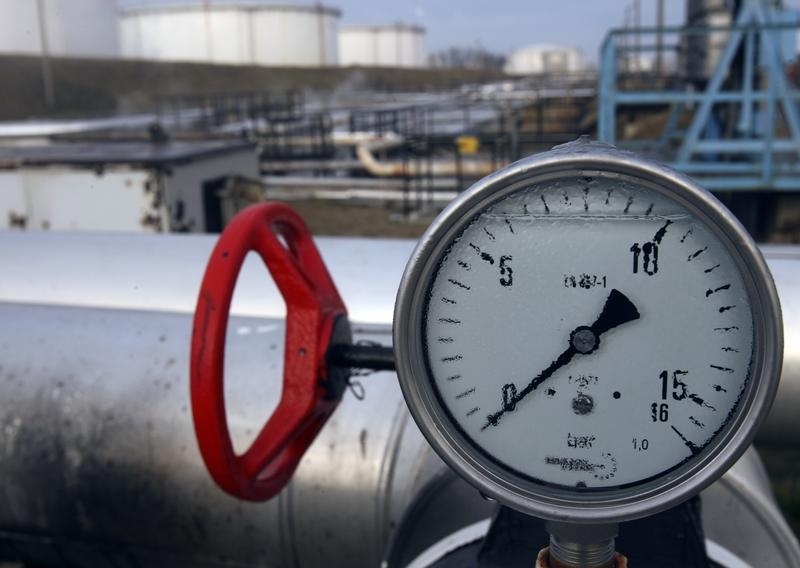 A trendy breed of U.S. energy partnerships has caught the oil price flu. Many so-called master limited partnerships were meant to be relatively immune to crude price swings. Energy Transfer Equity’s deal to buy Williams Companies is Exhibit A for the unraveling of that conceit. The two companies’ shares have fallen nearly 60 percent since September, when Williams agreed to be acquired by ETE for an equity value of $33 billion, or $43.50 per share. Back when yield-hungry investors were snapping up shares of MLPs for their fat dividends, proponents assumed the performance of pipeline firms was largely indifferent to where oil trades. That’s because revenue is largely based on the volume of hydrocarbons flowing through their infrastructure rather than what the liquids are worth. The idea seemed plausible, especially when oil producers had signed contracts committing them to use the pipes. The more than 70 percent drop in the U.S. benchmark crude price since mid-2014 has, however, challenged that assumption and found it wanting. The Alerian MLP Index, which is three-quarters weighted to pipeline partnerships, shed a third of its value last year as oil fell toward $30 per barrel. It has lost another 10 percent or so during crude’s latest lurch downward this year. In ETE and Williams’ case, the jitters are amplified by high levels of debt. Moody’s Investors Service cut its credit rating on Williams to junk last week, saying it was concerned about the ability of customers like Chesapeake Energy to make good on their contractual obligations if low crude prices continue. Shares of even lower-rated ETE fell accordingly. Troubled customers aside, weak ratings and the prospect of higher U.S. interest rates are painful for MLPs because they rely on cheap financing for new assets which in turn produce extra cash flow and allow the dividend growth prized by investors. After the recent rout, and despite a bounce on Thursday, ETE’s cash-and-stock offer now pegs the worth of Williams’ equity at only about $17 billion, just more than half the level when the merger agreement was struck. Even so, Williams shares are trading at a steep discount to the offer value. The gap may reflect fears that ETE will try to renegotiate the terms. An optimist might put it down to an overreaction in the wake of a torrid start to 2016 in financial markets. Either way, even MLP bulls now have to rethink their detachment from oil prices. Shares of Energy Transfer Equity and Williams Companies have fallen nearly 60 percent since Sept. 28, when ETE agreed to buy Williams for what the companies said was roughly $38 billion including assumed debt, or $43.50 per share in cash and ETE stock. ETE said that, overall, it would give Williams shareholders $8 per share in cash plus 1.5274 newly issued shares of a wholly owned subsidiary for each Williams share. The offer is now worth just over $23 per Williams share based on the closing price of ETE shares at on Jan. 14. Williams shares closed at $18.29 apiece after rising 35 percent during the day.